PCs can sometimes fail to boot to Windows because of a hard disk failure and therefore you may need recovering data from your PC. 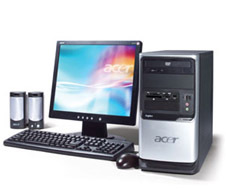 Data Recovery Lab specialises in PC data recovery. We can first assess the damage to the PC hard disk and within 24 hours provide you with a FREE quote and fault analysis.